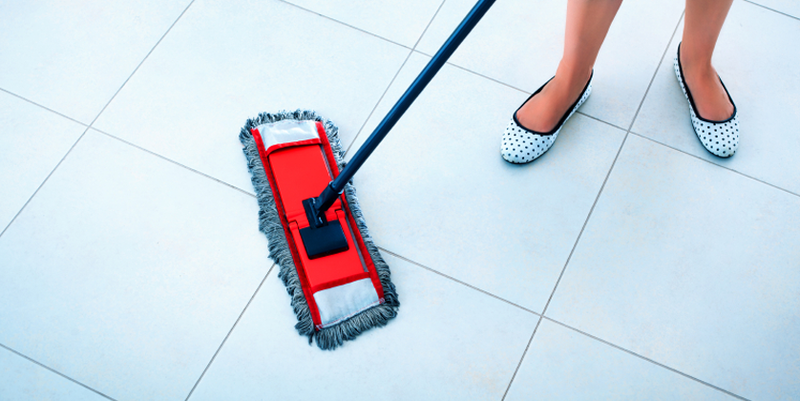 Though loved for their durability, a popular complaint against tiles is staining. Many times, the stains penetrate deep enough and it becomes a tough task to remove them. The problem takes a grave turn in case of bathroom and kitchen tiles. Usually bleach is used, but in cases of difficult stains like of hard water, it is found not to be effective. If ugly stains have found their way into your room’s décor too and you are looking for some handy ways to say them the final goodbye, then you’re at the right place. 1) Hard water and Soap – Hard water has mineral deposits, thus leaving tough scum as the water dries up. To remove them, wet the area with vinegar and water solution (50 -50) for 5-10 minutes. Now, you can remove the stains easily by rubbing with a soft cloth. If the mark is still present, then double the waiting time. Please note, that you should apply only the regular white vinegar and not any other variant. 2) Coffee, Tea, Chocolate or Juice – Wash the mark with a solution of detergent and water and then spot the stain with mild bleach. 3) Oil / Grease – Wash the area with soap water or mild cleaners. Wipe it with a soft cotton cloth. 4) Tar / Gum/Wax – Put some ice in a bag and place it over the stain for 10 minutes. Now, remove the mark with the blunt side of the knife. You can use the nail polish thinner to remove any remaining mark. 5) Blood – Blot the area with soap water or bleach for a few minutes. Remove, by rubbing a soft cloth over the area. 6) Rust – If you have cylinder at home, then you must be aware of the ugly rust marks on the kitchen flooring. To remove them easily, you should use lemon. Sprinkle it over the area and leave it for a few minutes. Once done, you can brush away the stain with an old toothbrush. If the stain is old and is not coming off, then you also use bleach or strong vinegar.